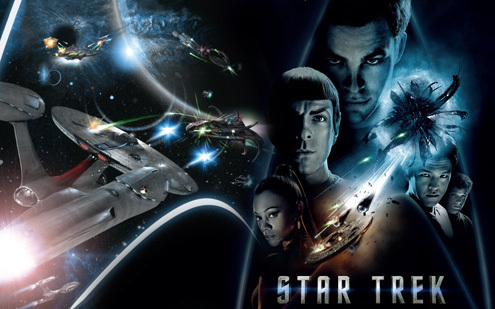 Cultural capital would be relevant in terms of intertextual references to the Star Trek television series and significant Star Trek film franchise (8 films) including Star Trek (1979), The Wrath of Kahn (1982), The Search for Spock (1984) and Nemesis (2001). All films were distributed by Paramount Studios, and written and produced by Gene Roddenberry, who created the original 1966 TV Series made by Paramount TV. These are characters of which Star Trek (2009) brings back to life, through younger actors and more contemporary representations. After Captain James T Kirk and First Officer Spock (William Shatner and Leonard Nimoy) introduced audiences to Roddenberry’s particular brand of Science Fiction, the second TV series was produced in 1987: Next Generations. Over four decades, the TV series ran alongside the film franchise. After Captain Jean-Luc Picard ran the bridge of the USS Enterprise in Generations, the next TV series was Deep Space Nine in 1993 - which in terms of more pluralistic representations, saw a black USS Enterprise captain. Voyager in 1995 introduced audiences to the first female federation Starfleet captain, followed by Enterprise (2001). Star Trek has become globally iconic with fans and remains one of the most successful franchises in cinema and television history.